Pakistan cheering Opposition parties' comments; Manmohan Singh's comment 'highly objectionable', says Jaitley. Opposition parties' comments on the Indian Air Force's (IAF) attacks on a terrorist group’s camp have made Pakistan "smile", said Finance Minister Arun Jaitley, adding that former prime minister Manmohan Singh's statement was "highly objectionable". Jaitley’s made the comments in a Facebook post on Sunday, reacting after 21 opposition parties led by the Congress on February 27 issued a joint statement accusing Prime Minister Narendra Modi of politicising the terrorist attack in Pulwama, Jammu and Kashmir, and IAF’s strike against Jaish-e-Muhammad in Pakistan’s Balakot. "Statements made by opposition parties (after IAF's counter terror operation in Balakot) hurt India's national interest. They give smiles to Pakistan and become an instrument in Pakistan's hands to discredit India's operation against terrorism," Jaitley said. The government had twice taken the leaders of opposition parties into confidence, he said. "I was most disappointed with a brief but a highly objectionable statement of the former Prime Minister Dr Manmohan Singh," Jaitley said. "The Congress led UPA Government from 2004 to 2014 ran a terrible Government. From 2014 to 2019, it was even a more terrible Opposition". Dr Singh, a senior Congress leader, had said that he was disturbed with the "mad rush of mutual self-destruction" by the two nations. He said poverty, ignorance and disease were the real problems in Indian and Pakistan. 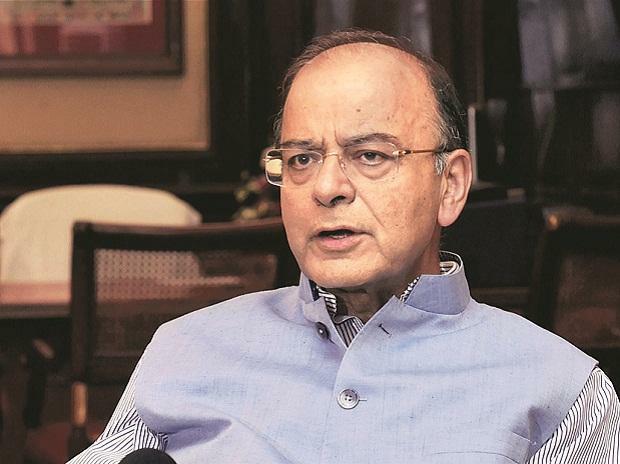 West Bengal Chief Minister Mamata Banerjee was worse because had doubted the veracity of IAF's Balakot operation, said Jaitley. "The credibility of both the Government and our Air Force is being doubted. Even Congress leaders have raised similar questions," he said in the Facebook post titled 'India's Opposition Has A Lot To Learn'. Reacting to Jaitley's post, Congress spokesperson Randeep Singh Surjewala in a tweet said: "'Blog Minister' continues his antics as a self styled 'Caricaturist' to stay relevant by attacking Dr. Manmohan Singh. "At least 5 Surgical Strikes took place under Dr. Singh's charge but he didn't make bravery of Jawans a political pamphlet for votes".